Dorothy Sullivan, my mother, went on to heaven at 2:15am this morning, March 26, 2011. She went very gently and peacefully with her cat snuggled up to her legs and me holding her hand. I am forever grateful to the many friends who have been praying for us, and I will still need prayers as this is the most painful day of my life. Mom & I were always close, but taking care of her these last 10 years made her the central point of my life and now that is leaving a deep void that is going to take time to heal. There will be a graveside service at the Chattanooga National Cemetery at 2pm, Tuesday, March 29, 2011. Reverend Jerry Millwood, a fellow bus nut, will preside. While it will be a small graveside service, any friends near enough to our area who wish to attend are welcome. After the service an informal get together to celebrate her life will be at a local restaurant buffet restaurant she enjoyed. We lived full time in my bus the last 3 years. We didn't get to travel as much as originally planned/hoped, but we did get to winter down in Florida one year at Jack & Paula's and attend the rally two years. When I was growing up, Mom and I relied heavily on Greyhound buses for the vacation trips we took. 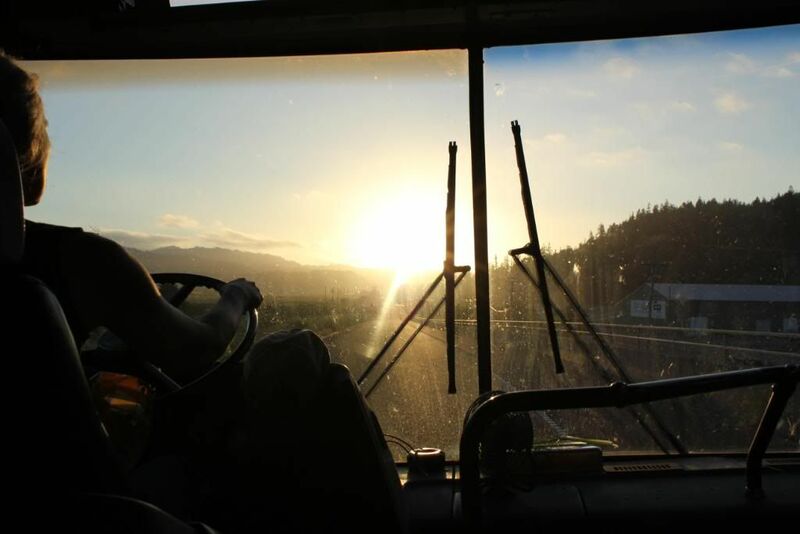 Those were some great experiences that probably seeded my later interest in buses. That's really hard news Mike. There will be a big hole in your life for a long time because the two of you were obviously very close. Someday you will be able to take comfort from knowing that you made her last years more enjoyable and secure. My condolences for your loss. Peace be with you both. I'm sorry to hear she has passed on. But she may now rest in peace and without pain. You are still in our prayers, and will continue to be so for a long time. I haven't lost either on my parents yet, and I know that it will be very hard for me when I do. Dorothy was a sweet, gentle lady. I enjoyed the time I was able to spend with her. She loved Mike with all her heart and it was obvious that he felt the same for her. He was a good son and truly took good care of her. Mike, when the tears start flowing...think of the good times my friend! We are Praying and Crying with you Mike. My most sincere and deepest condolences at this time of grief, Mike. I hope that time will bring you peace and only fond memories. Take care. I am new to this board so I have not had the pleasure of meeting you. I have seen here that so many people consider you a great friend. I hope one day to meet you and the many people I only correspond with, at this time, through this board. My prayers go out to you, and rest assured your mother is much happier in her new life. I lost both my parents many years ago, but great memories keep them in my heart daily. Mike so sorry this happened. This has to be a difficult time for anyone to go through. You have my condolences I know you have been there for beside her along time. Mike, All I can say is we all love ya Bro! and will share your loss Big warm hugs from all of us. Mike I haven't had the pleasure of meeting you yet, but when I do, I know one of the things I will admire about you, is the way you have cared for your Mom. You are an inspiration to many of us. Peace be with you, in this time of need.